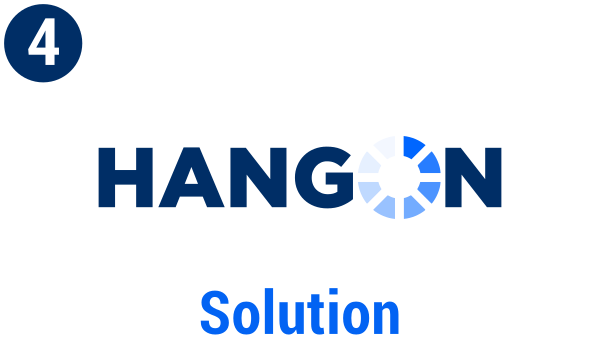 How it Works 2 – Woke Products Inc.
HangOn was engineered to optimize your body's metabolism of alcohol by providing the liver with detoxification support. Based on the latest science, our proprietary formula contains 8 different amino acids and antioxidants, each working in conjunction to help you detox the night. You consume alcohol (maybe one too many). 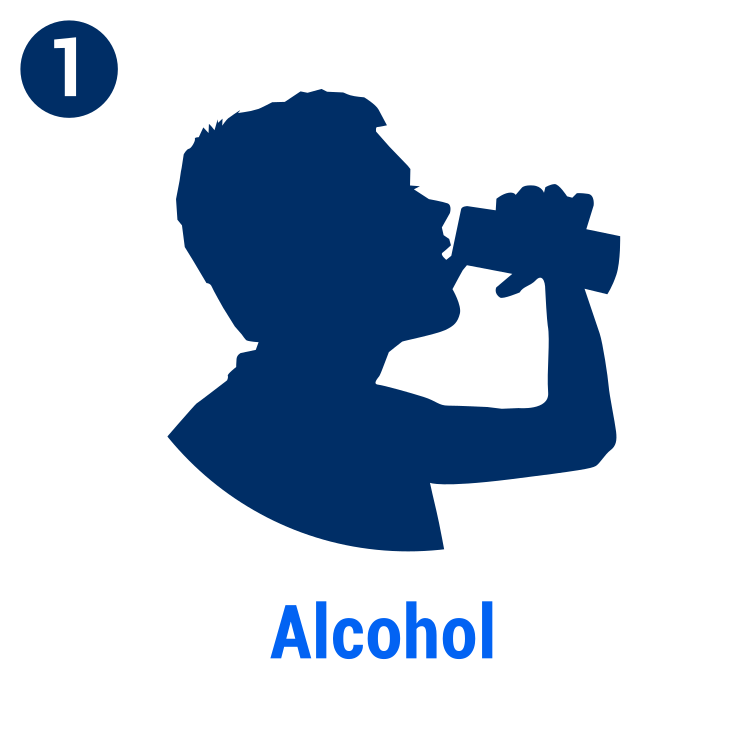 The body begins to process the alcohol at a rate of about 1 fluid ounce per hour. 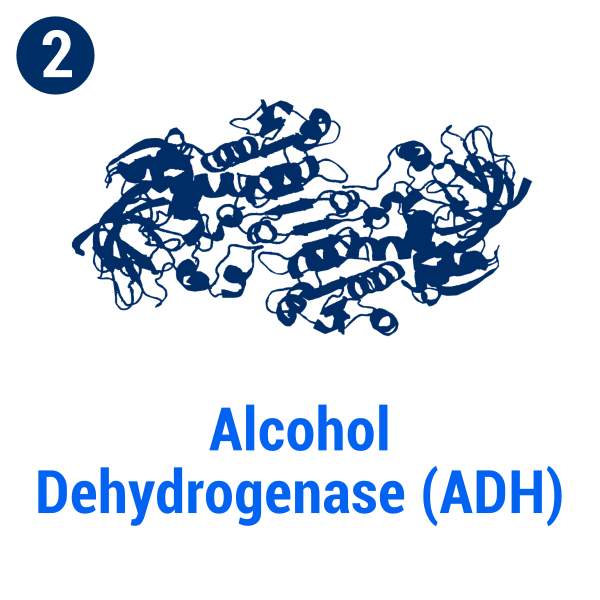 The body typically metabolizes alcohol that enters the body through two enzymes, alcohol dehydrogenase (ADH) and aldehyde dehydrogenase (ALDH). 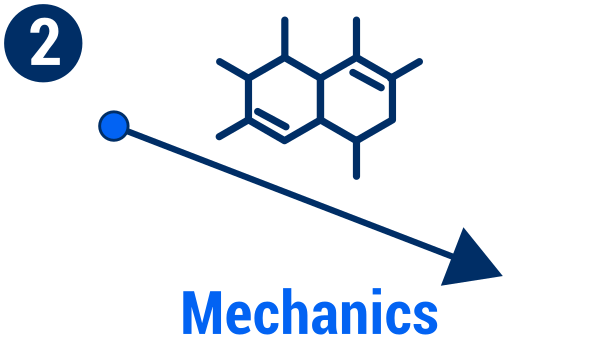 ADH breaks down the alcohol molecule into acetaldehyde. 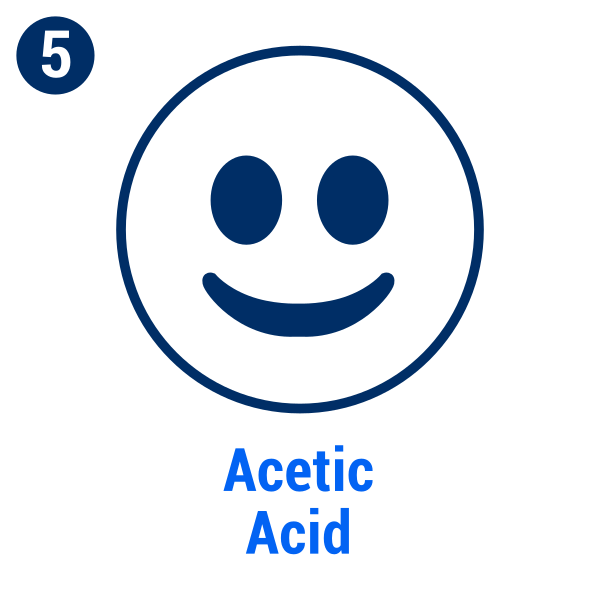 Acetaldehyde is a by-product of the alcohol metabolism. 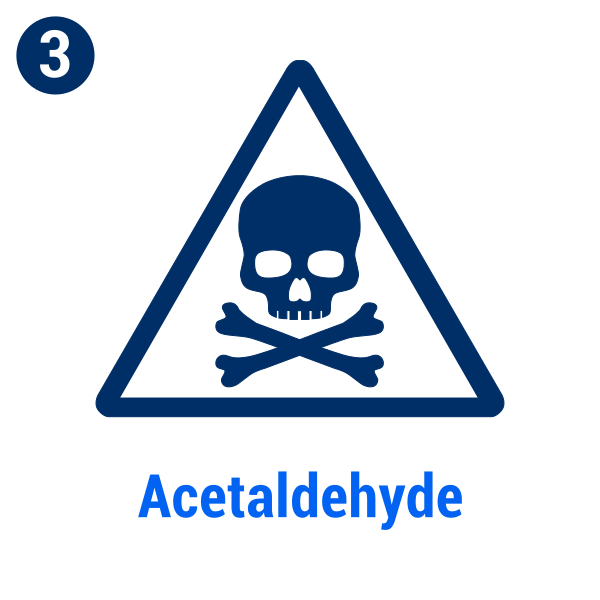 It is a highly toxic substance and known carcinogen. 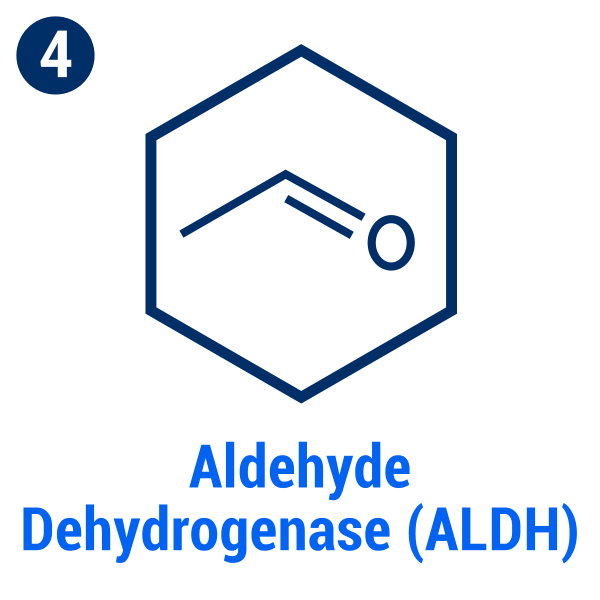 Aldehyde dehydrogenase (ALDH) further metabolizes the toxic acetaldehyde into a harmless by-product similar to acetic acid. The toxins are flushed out of your body! 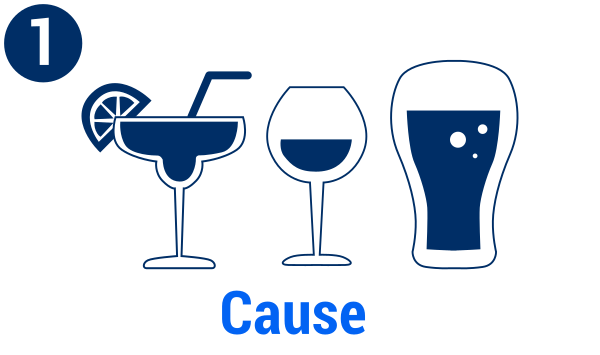 Drinking causes the suppression of one of the brain's neurotransmitters, glutamate, a stimulant. 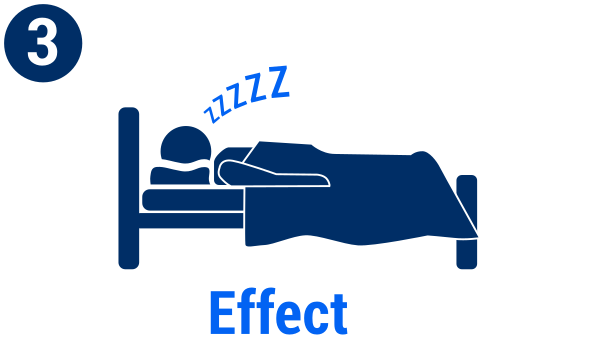 This suppression leads to heightened relaxation, lowered inhibition, slurred words, and loss of motor control. Your brain senses this imbalance and goes into hyperdrive, producing excess glutamate. This excess glutamate causes you to experience a poor night's sleep, anxiety and headaches. 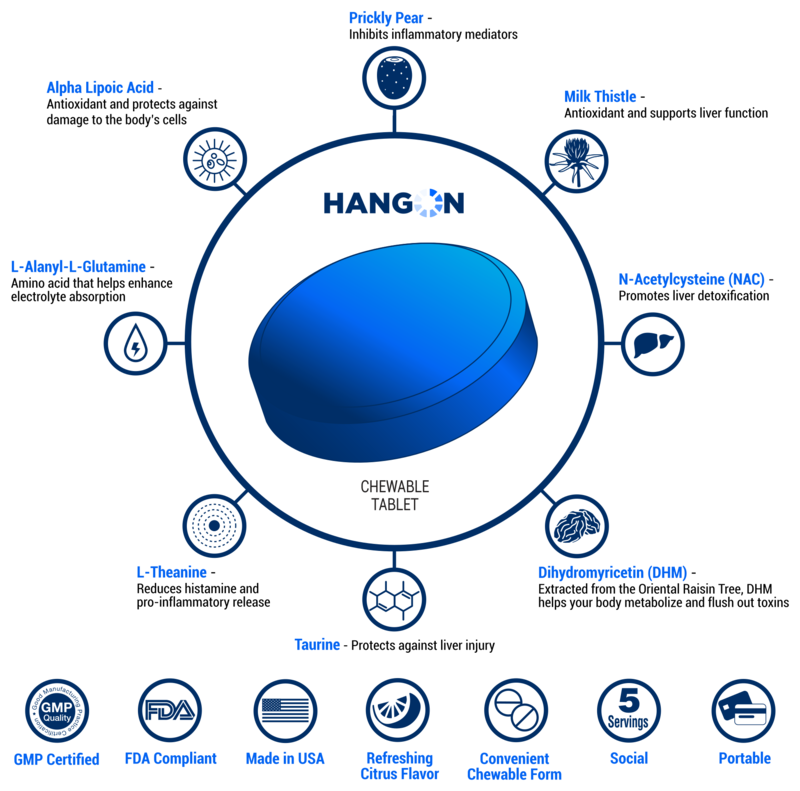 HangOn contains dihydromyricetin (DHM) which reduces this rebound effect (the production of excess glutamate) by limiting the initial suppression.